Trailblazer defined: a person who makes/does something new and makes it acceptable; a person who marks/prepares a trail for others to follow. Flowers always make a woman feel special. Edith Hubbard, only the second black woman to graduate from UNC, made it a point to walk the path that took her through the rose garden around the Morehead Planetarium sundial on days when she needed an antidote to the challenging people she encountered on campus. The minister at Barbee Chapel Baptist, the church in which she grew up, was the head gardener at the Morehead. He had a knack for knowing just when to say, “I’m pruning today, and it would be a pity to throw these roses away. Why don’t you take them?” And she would meet all the difficulties of the rest of the day armed with a small bouquet of roses. Edith came to UNC in 1964 from Bennett College as a junior (only women in nursing or pharmacy could enroll as freshmen at the time). She pledged a couple of sororities but was turned down because of the organizations’ whites-only clause. In the dining hall, she would join students at a table for lunch only to have them all get up and move elsewhere. Still, she stayed the course, even through the darkest days, and after earning her bachelor’s degree, she continued on to complete a master’s degree in college teaching in 1969. She persevered at UNC, forging a path because somebody had to, “and I am one of those somebodies,” she said. Edith built a career in education and public service. In the early 1990s, she returned to UNC, this time as associate director of research services, in which she had signature authority over all applications for research grants and contracts, a portfolio that totaled hundreds of millions of dollars a year. Her monthly reports that compared the value of the grants awarded with the amount deposited in the contract accounts reconciled to the penny every time. She also led the way in implementing electronic research administration software that revolutionized the field. She might not have come back had it not been for the “miraculous change” she saw at Carolina over the decades since she earned her degrees, a change she helped bring about, a change that her daughter, Rhonda Beatty ’87, lived. Beatty loved everything about the University; she had friends and studied in a collegial environment. Edith’s granddaughter, Nicole Beatty ’15, carried on the Tar Heel tradition, even joining one of the sororities on campus, not a historically black one. Throughout her career, Edith earned a reputation as a community leader, activist, motivator and strong advocate for many causes. 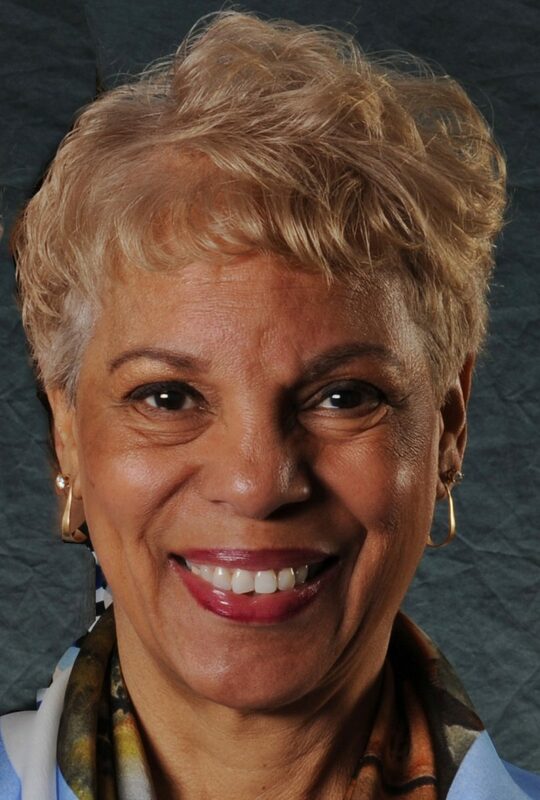 She made time to hold leadership roles on the Girl Scout Council, Delta Sigma Theta sorority, United Way, the YWCA, the Executive Service Corps and UNC’s Black Alumni Reunion, as well as serving as vice president of the WTVD Minority Advisory Committee. Her retirement from UNC in 2005 didn’t last long. N.C. Central University asked her to step in temporarily as director of the Office of Sponsored Research and Programs, a position she held for the next five years. Everywhere she worked, she was recognized as a person of uncommon grace. She could step into a contentious situation and lower the volume; she also spoke her mind when the occasion called for it. She put herself on the line for racial and social justice issues. She and Robert Lowman, then associate vice chancellor for research at UNC, drove to Washington, D.C., for a conference a week after a Denny’s restaurant made national news by ignoring a mixed-race couple at its suburban Virginia location. She convinced Lowman, her white boss, that they should stop there for dinner, another mixed-race couple in business suits, to see what the restaurant chain had learned. Edith could calm even the most prickly faculty personalities. On one occasion, a professor’s wife sent her flowers because the woman’s husband had come home in a rare good mood after working with Edith on a grant application. Edith divvied up the flowers among her staff, because everyone feels special when they receive flowers.